Sleep in comfort with Furinno Angeland Vienne Microfiber Pillowcase. 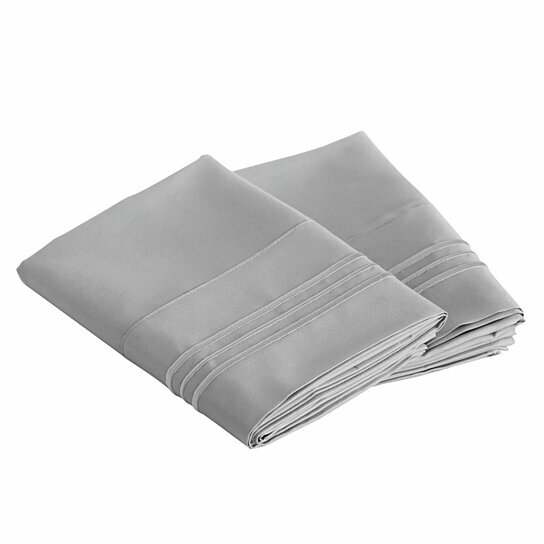 Made of premium brushed microfiber, our pillowcases are breathable and wrinkle resistant. Not only they can enhance your sleeping experience, they fit nicely on the pillows and provide resistance from dust mites and allergens. They also come in three colors which is Navy Blue, White and Grey that can surely suit your style. Simply toss them in washing machine and tumble dry low. Easy to maintain and clean. Available in sizes Queen and King. Each pack contains 2 pieces of pillowcase.